Larbar and I go way back. When I first found out I had food allergies, the bars became my go-to snack since they were free of corn and soy. I packed them on long airplane rides, took them on work business trips and always had one in my purse in case I needed a quick snack. When the company offered to send me some of the new Larabar Uber Bars to try, I was quite excited. The thing I love most about the Larabar products is the basic ingredient profile. The original Larabars contain nine ingredients or less, and steer away from any artificial ingredients. I always have the Peanut Butter Chocolate Chip, Coconut Cream Pie and Cashew Cookie flavors stashed at my house. The Larabar Uber Bars have the same ingredient profile as the original bars, only they are sweetened with honey and brown rice syrup which gives them a much chewier texture. They reminded me a bit of the Quaker chewy granola bars, only with a MUCH better (and healthier) ingredient list. 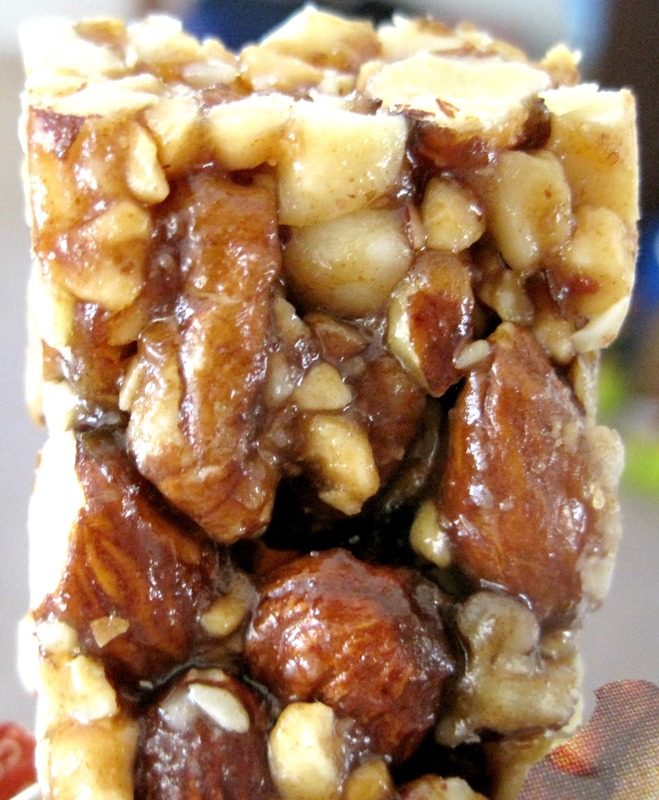 The Larabar Uber Bars are also a bit more dense since they are made primarily with different nuts. I sampled four flavors – Apple Turnover, Bananas Foster, Cherry Cobbler and the Roasted Nut Roll. While they were all good, the Cherry Cobbler and Roasted Nut Roll were my two favorite flavors. I had the Cherry Cobbler as an afternoon snack prior to an evening workout, and it kept me satiated until dinner much later, and I loved the wide variety of nuts in the Roasted Nut Roll (especially the Macadamia nuts). 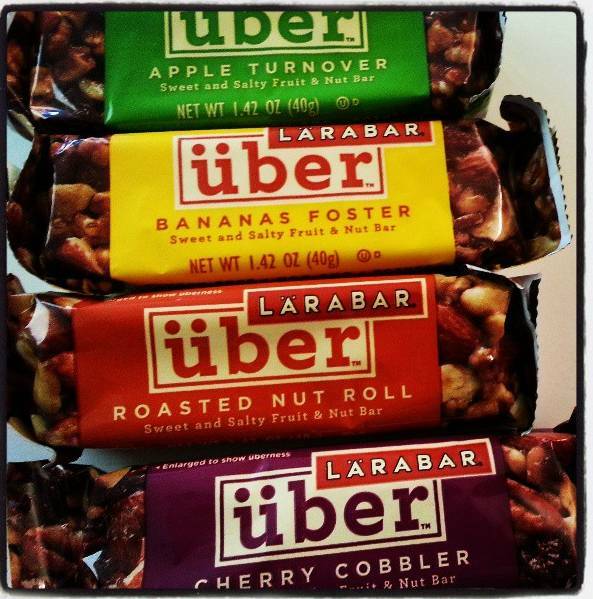 I definitely foresee adding the Larabar Uber bars into my regular Larabar rotation. Thanks Larabar for sending me the Uber Bars to try! This entry was posted in Best Of, Snacks and tagged gluten-free snack bar, healthy snack bars, larabar, larabar uber bars on April 21, 2013 by allie@sweetpotatobites.